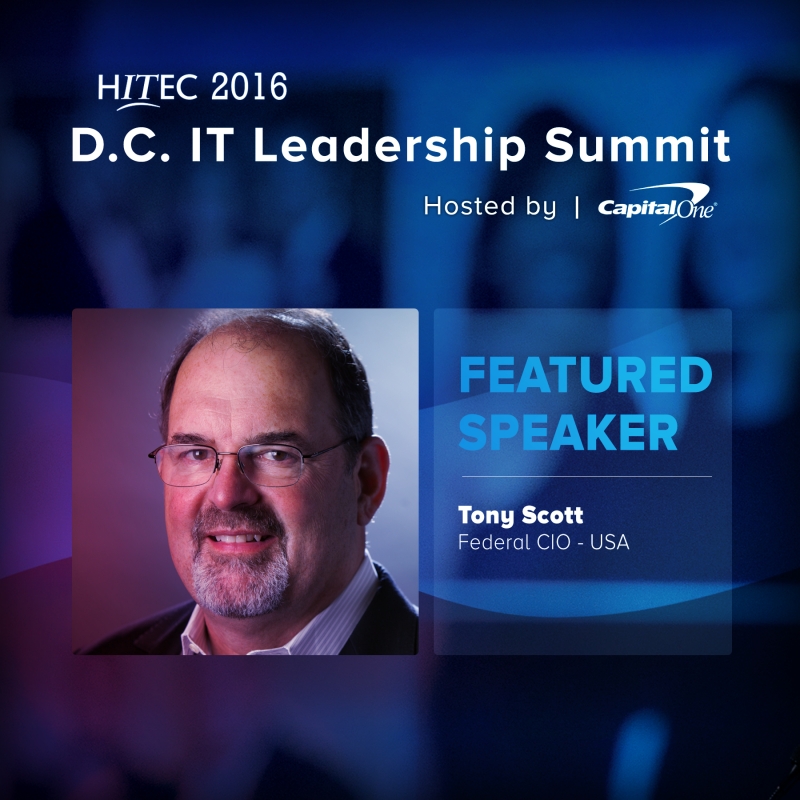 The Hispanic IT Executive Council (HITEC) is excited to announce The United States Chief Information Officer, Tony Scott, has joined the lineup of powerful IT leaders speaking on August 3-5, 2016 at the HITEC D.C. IT Leadership Summit hosted by Capital One. Tony brings nearly four decades of IT experience to his role as the Federal Chief Information Officer of the United States. President Barack Obama appointed Scott to the role in February 2015. He is responsible for overseeing federal technology spending, federal IT policy, and strategic planning of all Federal IT investments. Chief Information Officer and Senior Vice President of VMware, Inc., from 2013 until 2015. Chief Information Officer and Corporate Vice President of Microsoft Corporation from 2008 until 2013. He managed Microsoft’s 4,000-person global information technology organization that manages critical technology systems supporting Microsoft Corporation’s world-wide sales, marketing and services efforts, as well as enterprise systems and applications for all corporate processes. Chief Information Officer and Senior Vice President of The Walt Disney Co., where he served as the First Chief Information Officer to manage company-wide IT. During his time at Disney, he led Microsoft Corporation through a major transformation, which included improving the reliability and effectiveness of Microsoft Corporation’s information systems and shifting focus more toward employee enablement, and upgrading core IT infrastructure including datacenter reliability. Tony has a bachelor of science in information systems management from the University of San Francisco and also holds a juris doctorate from Santa Clara University. In the coming weeks, we will share more on Tony’s upcoming presentation. Until then, join us in welcoming Tony Scott to the HITEC Familia. Register for the August 3-5 HITEC IT Leadership Summit today!